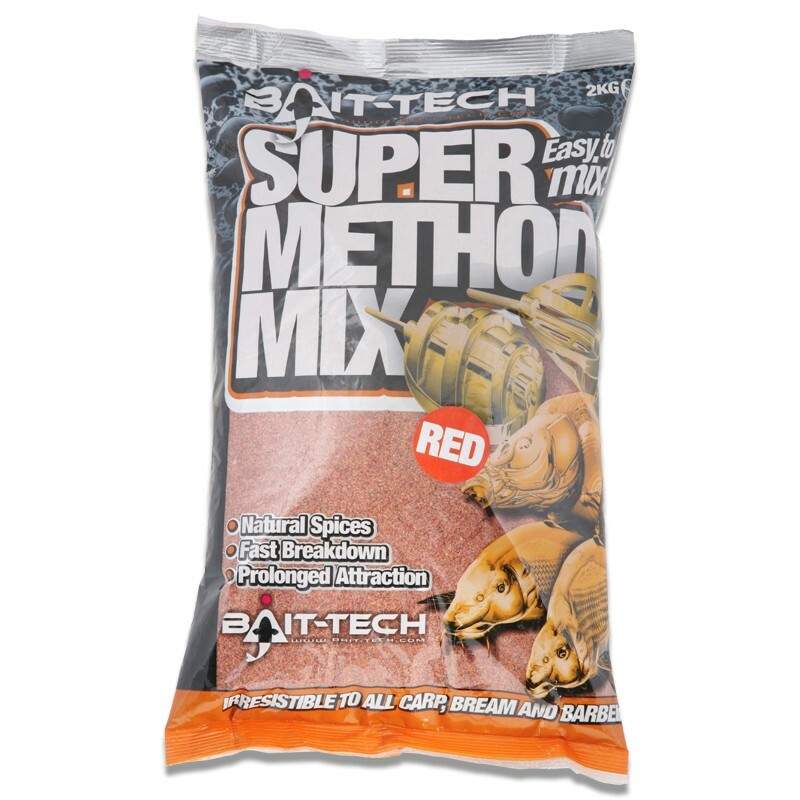 The ultimate all-round method mix has arrived. 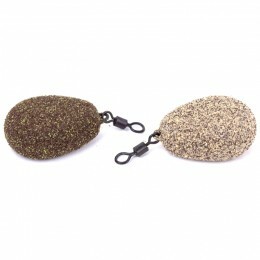 Full of nothing but natural ingredients, this proven fish catcher boasts nothing but quality. 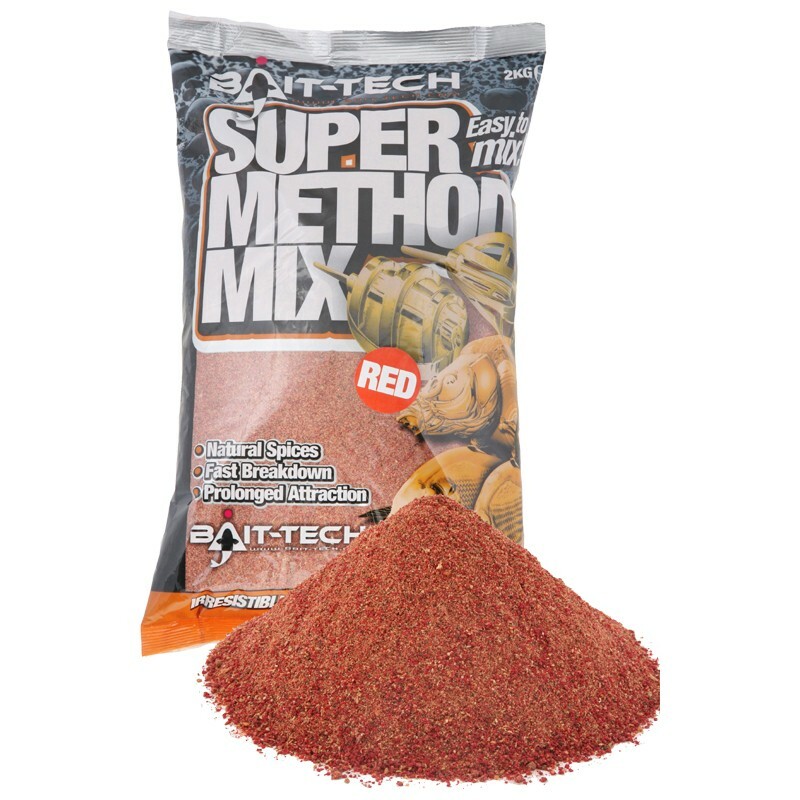 Super high in value with all the attraction in a top class bait, the Super Method Mix has been developed using a fascinating blend of sweet herbs and spices that carp and other fish adore. 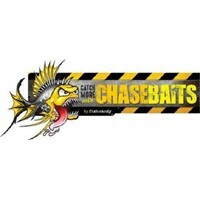 Using only natural ingredients and proven winners such as hemp, vitalin caramill and cocarom – this mix creates a rich and naturally flavoured fish attractor which is easy to mix. 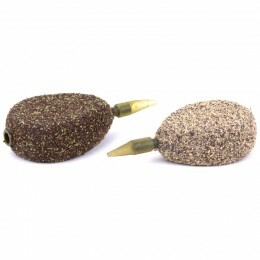 This fast breakdown groundbait is perfect for any method feeder, ideal for flatbed feeders for carp, barbel or bream…..put simply: it is what it says on the bag! 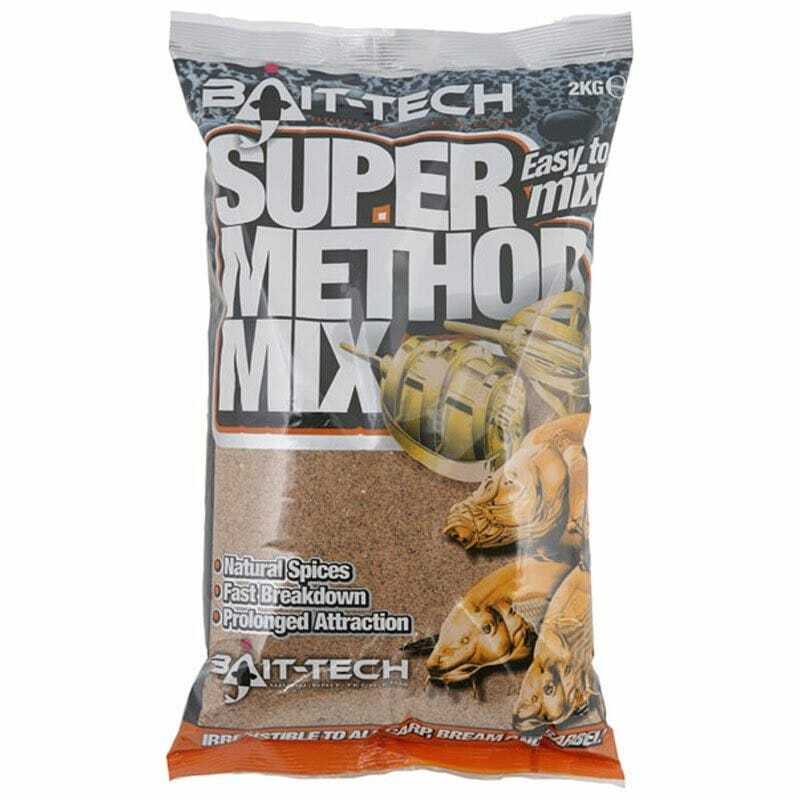 Packed with hemp, fully of natural herbs and over 5 different spice attractors, this method mix has flavour combinations that will out score all others. 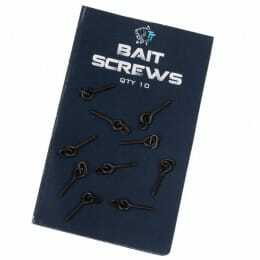 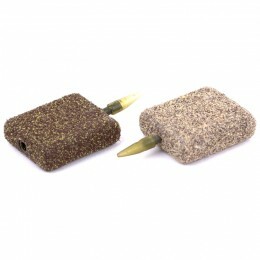 A versatile mix that has many uses this easy to mix groundbait excels when moulded onto a method feeder.